Located at the mouth of the Swan River and situated 19 kilometres from the Perth CBD, lies one the original townships of the Swan River Colony . . . Fremantle. 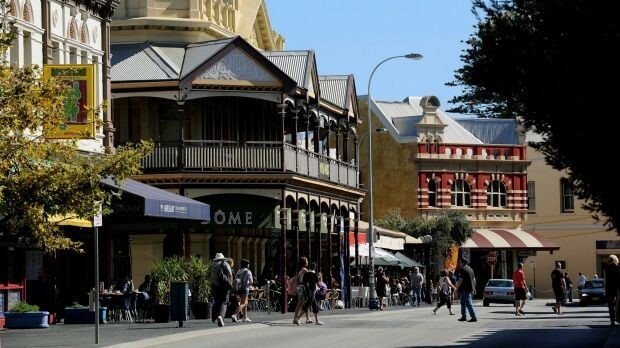 Covering an area of 19 square kilometres, the City of Fremantle is fronted by the Indian Ocean and this, plus numerous historical buildings makes Fremantle a ‘must see’ destination for tourists. Whether it be having a coffee on the ‘Cappuccino Strip’, or enjoying a meal of fish and chips on the grass of the Esplanade, one thing is quickly noticeable however . . . Fremantle has a lot of birds specifically sea gulls and pigeons. Bird control in Fremantle is something Perth Pest Control is intimately familiar with as we have solved a number of problems with bird invasions in the city and surrounds. The problem with birds – apart from their penchant for stealing food! – is one that can be quite serious. Birds are associated with over 30 diseases transferable to humans and their acidic droppings can cause damage to buildings particularly older limestone ones found throughout Fremantle city. (Visit our dedicated bird control site HERE). Apart from birds, general pest control in Fremantle is something all residents and businesses need to be diligent about. Being a port city, a major pest problem in Fremantle is one of rodents and specifically rats. Rats are a highly destructive and disease carrying pest that needs to be controlled and eliminated quickly and efficiently. The excreta and hairs of rats carry a number of diseases that can easily be passed on to humans. Rats can damage buildings and homes, leave unpleasant odours and even show aggression towards humans and pets. Controlling a rat problem is a task at which Perth Pest Control is extremely adept. Whether it be a small number of rats in the ceiling of the family home, or a large colony of rodents in a commercial establishment, our proven methods of eliminating rat problems is available immediately in the Fremantle area. Fremantle and surrounds are both beautiful and historic but unfortunately a number of other pests also call Fremantle their home! Luckily Perth Pest Control is highly active in the Fremantle area and can provide pest control services for any issues you may have with spiders, bed bugs, birds, ants etc. Contact us today for pest control in Fremantle. Our fleet of mobile technicians can quickly solve any pest problem you may have and leave you with full peace of mind.